This entry was posted in Uncategorized on August 31, 2017 by greybrucelabour. An investigation is underway after a fatal industrial accident in Tottenham. According to the Ministry of Labour, a worker was fatally injured while setting up a stamping press at F & P Manufacturing on Thursday. The MOL couldn’t say who the worker was employed by. Officials with F & P Manufacturing refused to comment. The ministry is now investigating. Canada’s unions are marking this year’s Labour Day with the launch of a campaign calling for universal prescription drug coverage for all Canadians. “Today, 3.5 million Canadians can’t afford to fill their prescriptions,” said CLC President Hassan Yussuff. “Nobody should have to choose between paying for groceries or the medication they need,” he added. Currently one in five people pay out of pocket for their medication, either because they don’t have a prescription drug plan, or because they have a plan that doesn’t cover the full cost of the medications they need. “Canada’s unions are proud that we’ve won health insurance coverage for many of our members. But we believe anyone with a health card should have coverage for the medication they need,” said Yussuff. Canada has the second highest prescription drug costs in the world next to the United States, and is also the only developed country in the world with a universal health care program that doesn’t include a universal prescription drug plan. A strong majority of Canadians want universal prescription drug coverage. A 2015 Angus Reid poll found that 91 percent of Canadians believe our public health care system should include a universal prescription drug plan. “This is why we’re working to win a universal prescription drug plan that covers everyone in Canada, regardless of their income, age or where they work or live,” said Yussuff. Visit aplanforeveryone.ca to learn more. This entry was posted in Uncategorized on August 7, 2017 by greybrucelabour. In case you did not see the following three letters in the Owen Sound Sun Times on Aug 2, 2017. Individuals, each with a personal story, along with organizations across Ontario have stepped forward and gone on the record regarding Bill 148. For Ontario, it has been more than 20 years since labour law underwent significant amendments. Intrinsic to Bill 148 is hope! Hope for work that is no longer precarious, hope for work that recognizes each person’s right to respect in the workplace and hope for work that gives people the opportunity to live with dignity in their communities. For the first half of the 1990s labour law reform shifted from the profoundly progressive reforms of Ontario’s first ever NDP government to the ideologically driven regressive reforms enacted by two subsequent terms of Ontario PC government. Although Bill 148 is not the next step in the polarization of this recent history, the various proposals within the bill have the potential to address some of the egregious reversals of the Mike Harris Tories. The Grey Bruce Labour Council is already on the record as agreeing with the overwhelming support of credible economists for increases to the minimum wage, but Bill 148 is much more than wages. Like collective bargaining, wages are but one pillar of providing Ontario workers a much-improved work and personal life while accelerating the overall well being of the entire province and its economy. In the Grey Bruce Labour Council submission to the Bill 148 legislative committee, the labour council indicated that our region epitomizes the decline of working conditions in Ontario and precisely why the labour law changes put forth by progressive organizations such as the Ontario Federation of Labour (OFL) submission are so much needed. Our region was the seat of manufacturing in a variety of sectors and intrinsic to that was full time and sustainable work. This was work that supported families and enhanced communities. No period of prosperity has ever exceeded the period in the post war era when unionization was increasing and companies paid their fair share of taxes. Except for the obvious locations such as Bruce Power, OPG, healthcare, education, and other sectors with strong union representation, the last four decades of legislative choices that undermined workers rights and acquiescing to short sighted views of trade have turned a prosperous region into a region of precarious work. The submission by the OFL points to a wide variety of needs, but to ensure that workers in Ontario can attain and sustain the work and living standards necessary to raise families and ensure the long-term prosperity of our communities we must act today to make it as easy as possible to unionize. This must include “card check” certification and clear and present regulations that absolutely deny the employer any route to interfere with a unionization drive. Beyond the one aspect of card check certification, the Grey Bruce Labour Council encourages all parties in the Ontario legislature to look primarily towards benefiting the collective well being and not the shortsighted fear mongering of those who have decried and called for panic every time progressive legislation has been brought forward in Ontario and elsewhere. The Grey Bruce Labour Council has been the voice of workers in the Grey Bruce regions since 1956. The Council is made up of public and private sector union representation and represents over 5,000 workers and is proud to speak in support of the OFL submission. In opposing Ontario’s increase in the minimum wage, Peter Reesor, executive director of the Owen Sound and District Chamber of Commerce compares the economy to a Formula One race car. Well if this economy is a race car, it’s missing on more than some of its cylinders. Over 200,000 good manufacturing jobs have gone AWOL in Ontario since the Great Recession. Since NAFTA, 94 per cent of jobs created are part time and precarious. Our economy is floating on the debt of Canadian families – the highest in the G7. Our working-age poverty is third from the bottom of 17 OECD countries. Visits to the food banks in Grey Bruce went up 92 per cent between 2013 and 2015. If we’re in a race, it’s a race to the bottom. Is that a race we want to win? Mr Reessor’s point is that the economy is a complex thing – you switch out a part and you might blow the engine. In other words, it’s too complex to change. This sounds too much like the too-big-to-fail argument we all heard the last time the economy blew a gasket. So, the chamber asks us to trust them, and the economists with the complex computer models that track all the moving parts. They know what’s best for us, even if we don’t … even if we know you can’t live on $11.40 an hour. Well economic models aren’t perfect. The algorithms carry the biases and assumptions of the modellers. Just ask Alan Greenspan, the former chairman of the US Federal Reserve and arguably the architect of the Great Recession of 2008. A member of the Congressional Committee on Oversight and Reform did ask him that very question and Greenspan said: “Yes, I found a flaw in the model that I perceived as the critical functioning structure that defines how the world works.” And what did he miss? “Animal spirits” he said later. If you look at the evidence, you’ll find that seven decades of research in the U.S. shows ramping up the minimum wage does not increase unemployment or depress economic growth. Alberta is in the midst of raising its minimum wage to $15 an hour and that province is, once again, leading the rest of us in economic growth. Fifty-three economists in Canada have voiced their support for raising Ontario’s minimum wage to $15 an hour. Shoving aside all that evidence is like saying that 95 per cent of climate scientists are wrong and that global warming isn’t happening, even as buildings sink into melting permafrost in Inuvik. But put aside the evidence and ask yourself: Is it really a good business plan when its success depends on keeping its employees in poverty? In other words, the right to a living wage. Growing up, I was taught that I have a responsibility to treat others with dignity, compassion, and humanity. So I get uneasy when powerful people use their platform to prey on fears and hatreds. But this is what Larry Miller is doing with the government’s settling of Omar Khadr’s suit out of court. Many groups have made hay out of this issue, including anti-Muslim hate-groups rallying around Ontario. Miller’s comments have provided a lot of bluster and very few facts. Firstly, this is a fiscally prudent move by the government. Given that the suit was for $20 million. and that the Supreme Court of Canada (SCC) has already ruled Khadr’s rights were violated, the government’s inevitable loss would result not only in the $20 million in damages, but they’d also have been responsible for all legal fees. But money isn’t the core issue here. These are the facts of Khadr’s case: at 15 years old he was found under rubble in an Afghani compound in which American troops had engaged suspected Al Qaeda operatives. In this firefighter, Sgt. Christopher Speer, an armed Delta Force commando also trained to provide medical aid, was killed by a grenade. It’s an open question how, lying face down under a collapsed roof, Khadr could have thrown this grenade over an eight foot barrier and 80 feet away, but set that aside. Khadr was eventually rendered to Guantanamo Bay, a military base controlled by the Americans, where neither American nor international law applied. He was held in Guantanamo without trial for nearly a decade, where he was repeatedly tortured by American officials. This torture occurred, according to the SCC, with the full knowledge of successive Liberal and Conservative governments. It was only in 2010, after eight years of imprisonment and torture, that Khadr pled guilty of Sgt. Speers’ death before a military tribunal – not a court of law. Critically, the tribunal’s plea deal was presented as Khadr’s only way out of the blackhole that is Guantanamo. Moreover, Canada was the only country in the world that allowed any of its citizens – let alone a child – to be repeatedly subjected to American torture. Miller has called Khadr a “terrorist” and a “criminal” loudly and often. But in doing so he reveals his sparse understanding. If he truly imagines Khadr is responsible for Sgt. Speers’ death, Miller must accept one of two things. The first is that Khadr is an enemy combatant, part of armed forces engaged in war. If so he is certainly not a criminal, as soldiers are not criminally responsible for the deaths of opponent combatants – Canadian veterans depend on this legal principle for their own safety. Moreover, if Khadr is an enemy combatant then the laws of war apply and the fact that Khadr was 15 at the time means that he was a child soldier requiring rehabilitation rather than a decade of torture. If, however, Khadr is a “criminal,” then a murder case should have been brought against him in a timely fashion and tried before a court subject to the American Constitution. As no such case is forthcoming, and given the scant evidence that is admissible in court, I can only surmise that neither the American nor Canadian government can actually produce a criminal conviction. And, last I checked, thankfully, the Constitution still prohibits the use of evidence and confessions extracted through torture. Given all this, I have to say that the public reaction to this settlement is alarming. It’s worrisome that Canadians can’t see that the fundamental principles of the rule of law are at stake here. Truth is, $10.5 million probably doesn’t go far enough in sending a message to the government – present and future – that they owe an obligation to each citizen to ensure that we are afforded due process of law. If this principle isn’t guarded here and now, then its erosion by future governments is assured. If a citizen is taken, held, and tortured without repercussion, then what stops it from happening to countless others? If we don’t turn the tide against the culture of cruelty that the right-wing in this country is ginning up, where are we heading? Congratulations to workers at Sobeys in Kincardine, Ontario on the ratification of their first Collective Agreement. 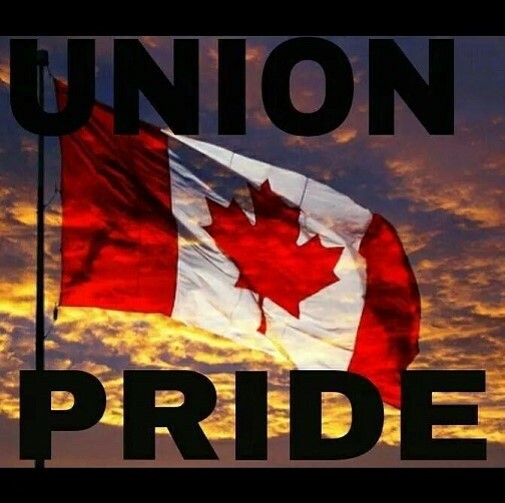 Not only is this a first step for our new Unifor brothers and sisters in Kincardine, it is a step forward for all retail workers who too often find themselves in precarious positions, with low wages, and erratic scheduling. Conditions in retail remain a priority for Unifor as the union continues to work to improve wages and working standards across the sector.